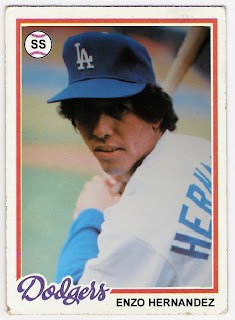 thanks to mrmopar from 1978, the year it all began, i now have an image of the immortal enzo hernandez in a dodger uniform. 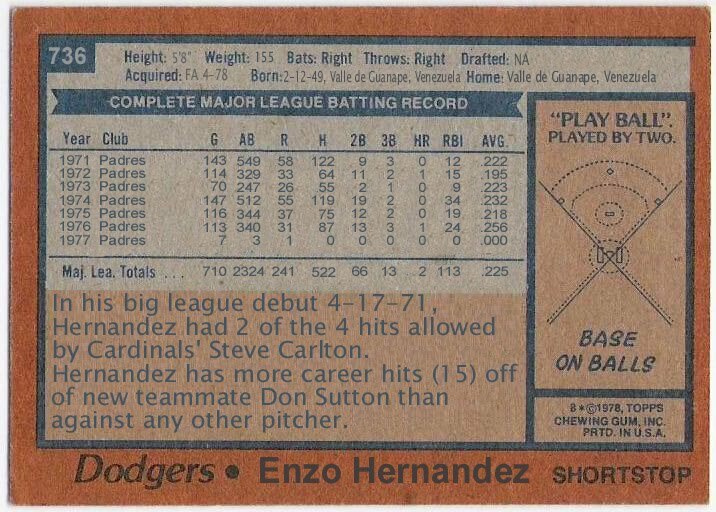 thus, we have another version of the 1978 topps burger king/update card that should have been! in the words of his annoying homer of an announcer, 'he gone'. it's a matt young week crossover event - through the mail successes! matt young week is in full swing over at oh my o-pee-chee! young had variations in every set from 1987 through 1992, except for 1989, and i'm highlighting them all right now. over on this site, i figured i would show the cards that matt has signed through the mail for me over the last year or so. young was acquired from the mariners in exchange for lefty dennis powell. he pitched just one year for the dodgers, winning 5 games while losing 8 and saving 11 others. his first game wasn't very good as he came in with a 2-run lead in the 8th inning against the astros on 4/7/87. granted, he came in with 2 on and nobody out, but he promptly walked the first batter he faced to load the bases and then allowed the tying runs to score on wild pitches. he would allow a couple more runs and be saddled with the loss. young's final appearance as a dodger resulted in his 8th loss of the season. he came on in relief of tim crews in the top of the 8th inning against the braves on 9/17/88 and allowed an infield single followed by a force out at home follwed by another single. 2 of the 3 inherited runners scored, and brad havens relieved young. havens didn't fare much better, allowing his inherited runner to score, so young was charged with 2 earned runs in one-third of an inning. in between those games, however, he had moments where his potential flashed and all was right in his world, like on 5/23/87 when he entered a game against the mets with 1 on and 1 out in the 8th with the dodgers leading by 2. he allowed a single to keith hernandez, but got kevin mcreynolds and darryl strawberry to fly out to end the inning, and then he struck out the side (gary carter, howard johnson, and dave magadan) in the 9th for the save. thanks matt, and hope you enjoy your week! manny's gone, or so i understand. 2008 was great, 2009 was confusing and 2010 was forgettable. everybody said it would be like this, and they were right. still, back to back nlcs for the first time since i started following this team, so the potential nearly achieved was fun to watch. i have had these two cards scanned for quite some time, i guess waiting for manny to do something worth writing about. no more waiting. adios manny! thanks for being motivated in 2008.
topps had printed cards in their 1974 set (rightfully so) based upon the presumption that hank aaron would surpass babe ruth that season (he had ended the 1973 season with 713). 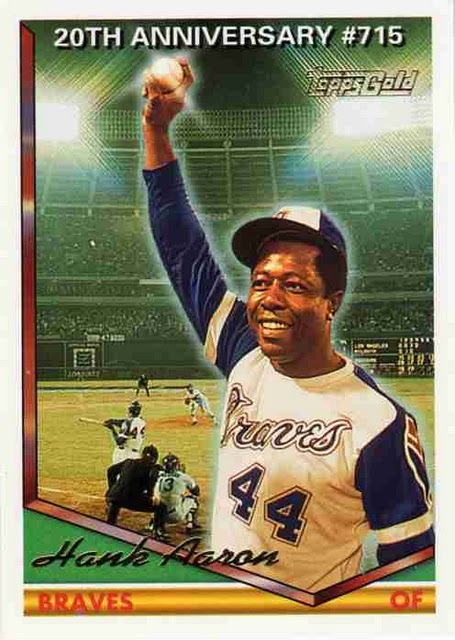 sure enough, hammerin' hank hit number 715 against the dodgers on april 8, 1974. when the 1975 set came around, topps chose to use a posed photo of the hammer to grace his highlight card. then when celebrating the 20th anniversary of his record breaking home run in 1994, they used some actual photos from the historic game. the photo in the background of the card shows the swing and the ball in flight, and it also shows a couple of dodgers - al downing, who served up the pitch, and joe ferguson, the dodgers' catcher. 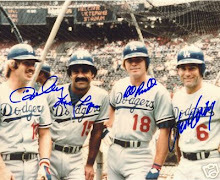 not pictured are the rest of the dodgers on the field that night - steve garvey, davey lopes, bill russell and ron cey, plus willie crawford, jim wynn and bill buckner in the outfield. buckner was in left, and can be seen climbing the fence in pursuit of the ball in the video of the home run. all in all, it's not a bad moment, or card, to be associated with. here's to you, infamous dodger lurkers! wlecome to the third installment of the 'evolution of the dodgers' out of place guy'. the first installment covered about 20 years, from skowron to stanhouse, and the second got us about 16 more seasons, from belanger to bonilla. i realize now that i should have included don sutton and eddie murray and their second tours of duty with the dodgers in 1988 and 1997 to the last list. really, how many people remember that they ended their careers in la? that is truly out of place. i believe that this 2000 pacific crown collection card is the only one of counsell as a dodger. that's how out of place he was. 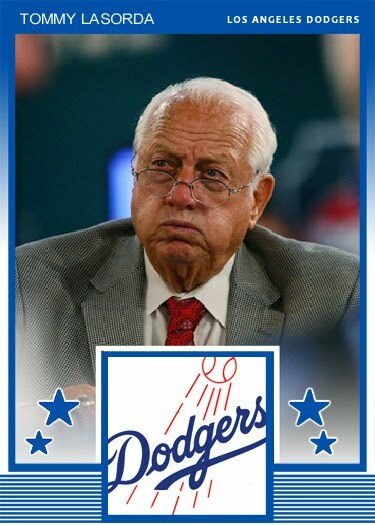 even the card companies don't want to recognize his tenure in la. the dodgers acquired counsell halfway through the 1999 season from the marlins, giving up a minor leaguer. in 50 games with the dodgers, he hit .259 with just 6 extra base hits (all doubles) for an ops of .626. the dodgers released him during spring training 2000, and the diamondbacks picked him up. did you remember that kevin elster ended his career with the dodgers in 2000? that makes this 2001 topps card a final tribute. elster's old manager, davey johnson, was leading the dodgers and convinced elster to come out of retirement (he missed the second half of the 1998 season and all of 1999 after being released by texas), presumably because he was scared of an entire season of alex cora at short. in his 5th game back, elster helped to open the giants' new stadium (pac bell park, i believe it was known as back then) with 3 home runs to lead the dodgers to victory. another candidate for out of place guy from the 2000 dodgers was geronimo berroa, but that is too obscure of a player even for me to address. in 2001, james baldwin was a dodger and was only sort of out of place, and in 2002 marquis grissom came aboard. i would have added grissom to the list, but he actually played in la for two seasons. you can't be out of place if you hang around that long. mcgriff joined the dodgers as a free agent with 478 home runs. having hit 30 in 2002 with the cubs, i sure thought he would get to 500 with the dodgers. he didn't. instead, he hit 13 dingers in just 86 games leaving him 9 short of the milestone. 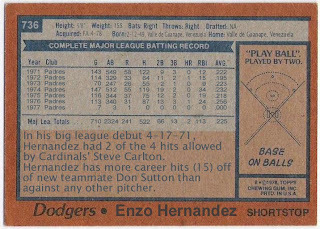 the dodgers released him after the season and he went home to tampa to play for the devil rays in 2004. unfortunately, he hit only 2 homers there and is forever sitting on 493.
the dodgers got burnitz in a deal that cost them a minor leaguer and two diazes. it was the second time the mets had traded burnitz away. for the dodgers, he performed worse than he had performed for any team in any season in his career. he hit just .204 with an ops of .643. he went to colorado for the 2004 season and i am sure he would have won the comeback player of the year award if chris carpenter hadn't been so good after missing all of 2003 and/or if burnitz hadn't (allegedly) been on steroids. rounding out the triumverate of 2003 dodger out of place guys, we have rickey henderson. rickey is a throwback out of place guy, like frank robinson or hoyt wilhelm. a hall of famer who hit tinseltown for a short time at the end of the line, or in frobby's case - close to it. rickey was 44 when the dodgers signed him to a contract in july of 2003. he wound up hitting just .208 in 30 games with 2 homers and 5 rbi. he scored 7 runs and stole 3 bases without getting caught. his final career home run was, what else, a lead off home run - the 81st of his career. 2004 brought steve finley to town for 58 games. he managed to win his 5th gold glove (he made just one error with the dodgers and just 3 overall in 2004) but is better known for his walk off grand slam against the giants on the next to last day of the season that gave the dodgers the nl west crown. finley signed with the angels as a free agent for the 2005 season. in 2005, the dodgers had a lot of no-names who weren't so much out of place as they were just not very good players. norihiro nakamura? jason grabowski? come on. i would love to say jd drew was out of place, but he stuck around (barely) for more than one season. then, in 2006, kenny lofton became a dodger. lofton had one of the best years ever by an out of place guy. he hit .301 with 79 runs scored and 32 steals as the dodgers' primary center fielder. his 2007 season was pretty good, too, but he was back in the american league then as the dodgers didn't re-sign him. i'm not lovin' it. 'it' is a 1992 topps mcdonald's eric karros card. fabio with a bad haircut. back in '92, i was going to mcdonald's for the dream team cards - in fact, i didn't even know about these cards. i still don't know much about them other than that karros was the lone dodger representative in the set. i have to say, i much prefer burger king cards to mcdonald's cards. with or without the special sauce. i think logan white is one of the many 'assistant' general managers the dodgers have on staff. it probably won't be too long before that assistant tag is dropped and he is putting together some team's roster. for now, though, his focus is on scouting and he does that very well. he's taken pitching first every year since 2003 (he took james loney first in 2002), and you know the names like billingsley and kershaw (and watch out for ethan martin in a couple of years). this year he wanted zach lee. lee, as we all know, was going to go to lsu and play football so he dropped in the draft. he fell all the way to the dodgers' spot at 28. many speculated (and i believed) that lee was drafted because he was the best player available and because he was un-signable. with the mccourt divorce and the frugality that was the dodgers' offseason, it made sense that frank would be keeping up appearances without really intending to sign the kid. 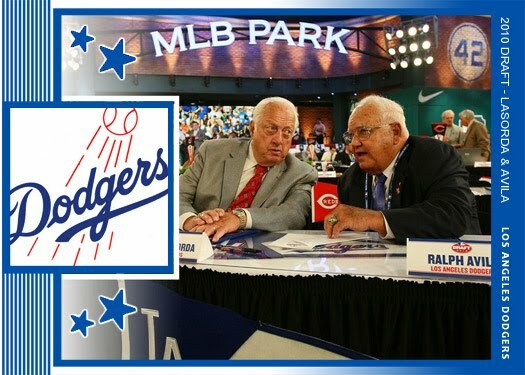 the dodgers sent tommy to the draft. he looks tired. kind of like elgin baylor at all of those lottery drawings he went to for the clippers. drafting is hard. he consulted with ralph avila, a longtime scout who was the one that really first tapped into the dominican republic. surely they would find someone who had 'signability', but no, they took lee. white said all along that lee was drafted with the intent to sign him, but there was no indication leading up to the deadline that the two sides had even begun negotiating. lee was at football practice in louisiana and things looked like they weren't going to come together. then comes word that lee did sign, and for a lot more money than the dodgers had ever paid before (twice what kershaw received) and logan white was vindicated and i was wrong to have doubted the dodgers' intent. 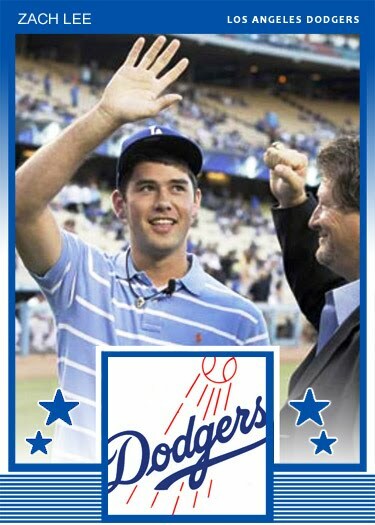 two nights later zach lee is at dodger stadium being introduced wearing an outfit that would have looked right at home on a 1992 topps draft pick card, and white was at his side. it would be downright awesome if in 4 or 5 years the dodgers had a rotation of billingsley, kershaw, scott elbert, martin and lee. of course, ned will likely trade at least a couple of those guys for a johnny damon type. but, if white were to become the dodgers' gm, it could happen. here's hoping! i left off the last time with don stanhouse. definitely out of place as a dodger. his former teammate, mark belanger also joined the dodgers in the early 80's - 1982 to be exact. after 17 years of playing shortstop for the orioles, belanger was displaced by cal ripken jr and so he headed west for his final season. he took his 8 gold gloves and hit .240 for the defending world champs in 54 games. oliver was just 2 years removed from leading the league in hitting when the dodgers signed him. he hit .253 for them until they sent him to toronto in july of '85 for len matuszek. when i think of oliver i think of him as a pirate or an expo. not a dodger. he was out of place, even though it was for just a short time. in '86 the dodgers picked up a couple of veterans to play third base - enos cabell and bill madlock. i don't consider them out of place simply because they stuck around for more than one season. but, there was another third baseman in the mix in '87: phil garner. the dodgers traded for garner during the 1987 season, and scrap iron took to the dodgers like a fish out of water. he hit a buck-ninety after joining the dodgers in mid-june, pinch hitting and playing some second base, short and of course some third base. in fact, he was their primary third baseman for the last part of the season. he signed as a free agent with the giants for the 1988 season, ending his turn as the dodgers' out of place guy after just 70 games. randolph spent 1989 as the dodgers' second baseman, and he did so admirably. he hit .282 and made the all=star team. donruss even made him a 'diamond king' in 1990. speaking of 1990, the dodgers traded randolph to the a's in may of that year since they had juan samuel to play second. 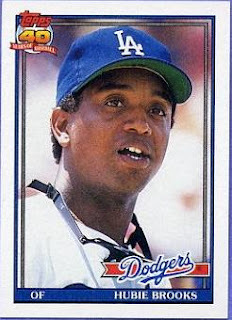 brooks was the dodgers' right fielder in 1990 and didn't do too badly - he tied his career high of 20 home runs and drove in 91, but the dodgers signed darryl strawberry for the 1991 season, so brooks was sent packing. they replaced brooks as the out of place guy for the 1991 season with a hall of famer - gary carter! carter had been with the giants in 1990 after bottoming out with the mets in '89. he caught (as mike scioscia's backup) but also played some first base for the dodgers. he hit .246 with 6 home runs and was re-acquired by the expos for a farewell tour in time for the 1992 season. 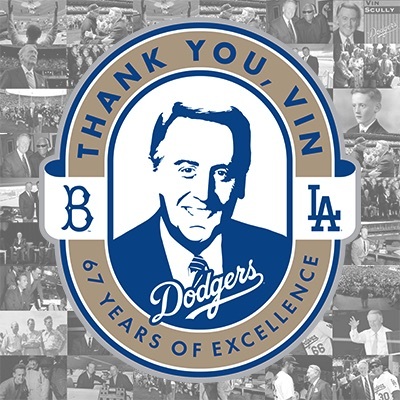 in the ensuing seasons, the dodgers employed the services of a few different players who didn't stick around long - todd benzinger, jody reed, jeff treadway, roberto kelly, mike blowers, darren lewis, and otis nixon to name most of them. but the next truly out of place guy was bobby bonilla. acquired in the mike piazza trade, i don't think the dodgers could get rid of bobby bo quickly enough. they really wanted sheffield and were ready to commit to 19 year old adrian beltre at third base. still, bonilla matched beltre's production although just barely. bonilla was traded to the mets after the season ended and steve phillips went nuts. coming soon, the out of place guys of the 2000's! did you know that johnny rutherford was a dodger? he was. although not the johnny rutherford you probably are thinking of - the one that won the indy 500 three times. the dodgers' johnny rutherford pitched for them in 1952. that was it - one and done. he went 7-7 as a starter and reliever that year, and even appeared in the world series. he gave up one run in his only inning of work in the fall classic, allowing a triple to mickey mantle who scored on a relay error by pee wee reese. more impressive is that he hit .290 (9 for 31) in his career. in between, he played for the giants of all teams. kirk gibson's on deck decoy played 8 seasons for the dodgers and is now a coach for the rangers. like anderson, frey was a middle infielder. unlike anderson, frey played for the dodgers in the early 1930's. he broke in with brooklyn in 1933 and spent 4 seasons there before he was traded to the cubs. the reds snatched him up and he had his best seasons in cincinnati and won a world series with them in 1940. in 1947 he was a member of the yankees and faced his old team in the world series. he went 0 for 1 with an rbi but got another ring. shea's lone season with the dodgers came in 1938. he backed up babe phelps but hit just .183. according to wikipedia, he played himself in a jimmy stewart movie. i am almost curious enough to netflix it. seriously, it looks like dazzy was hit with a sack of flour and then had some lipstick, rouge and orange dye applied to his face and hair. i think it is fairly obvious that it's not excessive makeup, but rather some artist's attempt to colorize an old black and white photo that gives dazzy his glamourous appearance. this is a 1983 big league collectibles diamond classic card, by the way. it's a card i had never heard of before receiving it in the mail. this card, and the others featured below, plus a lot more were sent to me about 5 months ago by reader steve. 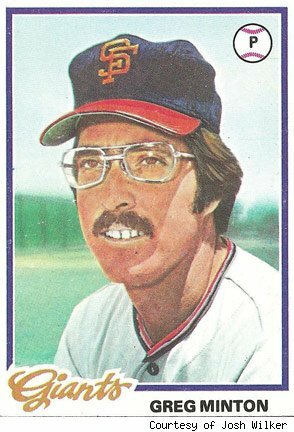 he actually looks younger in the 1983 card because he gave the glasses back to kent tekulve or tim foli. i remember when this set was released. koufax had granted a license to upper deck and they were milking it. i was pretty stoked, too, especially after the completely awesome and contender for best upper deck set ever (1999 upper deck century legends) was forced to omit koufax. this was from back when opening a pack of 'a piece of history' didn't result in cards of turkeys or computers or some old satellite. those were the days. too bad upper deck didn't give duke snider the dazzy vance treatment. this was a nice set, too. lots of dodgers if i recall correctly. 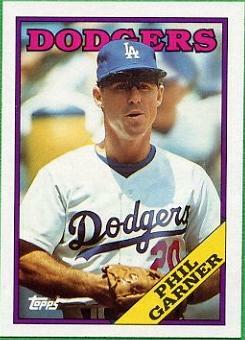 this card was from richert's second tour with the dodgers. in between he pitched for the senators and orioles (he's shown in an orioles jersey on this card) and pitched in three straight world series with baltimore. 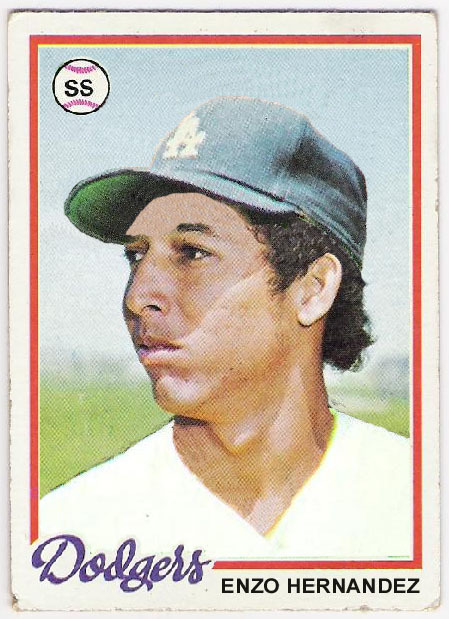 walton appeared in a total of 18 games, exclusively as a pinch hitter, for the 1976 dodgers. he managed two singles and a walk in those 18 appearances. 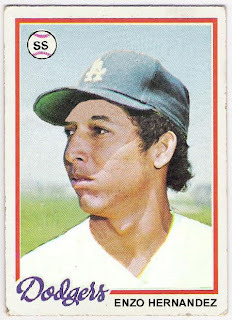 they traded him to houston (who had originally drafted walton in 1965) for alex taveras, a middle infielder who didn't play for the dodgers until 1982. there's a decent chance that the original photo used on this card shows walton in a dodger uniform as it is obviously airbrushed along with the helmet. i have to admit, i didn't realize danny walton was once a dodger. who let jim o'toole crash the party? as far as the dodgers go, koufax and drysdale you would probably expect. but stan williams in second with 204 strikeouts? he had finished 6th in the league in 1960 with 175 k's, and the 204 he posted in 1961 were a career high for him. 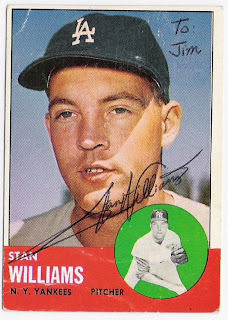 (stan was nice enough to personalize and sign one of my cards, by the way). 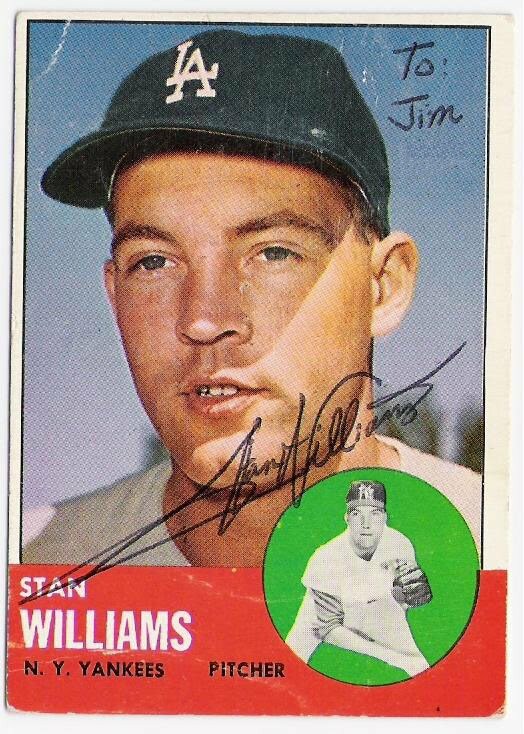 williams wound up pitching against his former team in the world series in 1963, and gave up just 1 hit with 5 strikeouts in 3 innings of work. i find this card interesting because the troll recently posted another williams card with him caught in transition, this time between the yankees and the indians. williams went on to pitch for the twins, cardinals and red sox (with an uncredited stop in la with the angels) before his career ended in 1972. there are some folks around here that still talk about his 1970 season with the twinkies when he went 10-1 with 15 saves and a 1.99 era and got no consideration for the cy young award. he also pitched 6 scoreless innings in the postseason that year, keeping his career postseason era at 0.00 with a whip of 0.55.
williams once pitched a 10-inning shutout in which he drove in the only run of the game. he also once pitched, in only his 3rd game back from an arm injury, a 13 inning complete game and then came back 5 days later and threw a 5-hit shutout. here's to you big daddy! no, these aren't 'cards that should have been' although one could argue that they should have been included in the base set rather than inserted by topps into team-based factory sets. i think jaybee refers to them as 'cards that will never see the light of day'. well, i fell for topps target marketing strategy and bought the set, but i'll be cussed if i'm going to leave these cards hidden away. let's take a look at the 5 players topps deemed worthy of making a card that many will never see. anderson was a late season pickup from the nationals in 2006. he had 73 at bats for the dodgers that year and hit .375. he also hit one very big homerun in the 4+1 game. 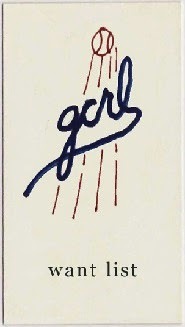 i approve of this card. 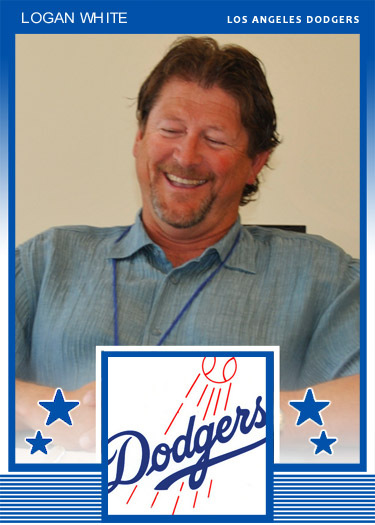 the dodgers acquired clark late in spring training 2007 in exchange for elmer dessens. clark was a dodger for about 3 months in which he hit .224. after the dodgers released him, he went to san diego where he hit over .300 for the padres. the killer tomato. 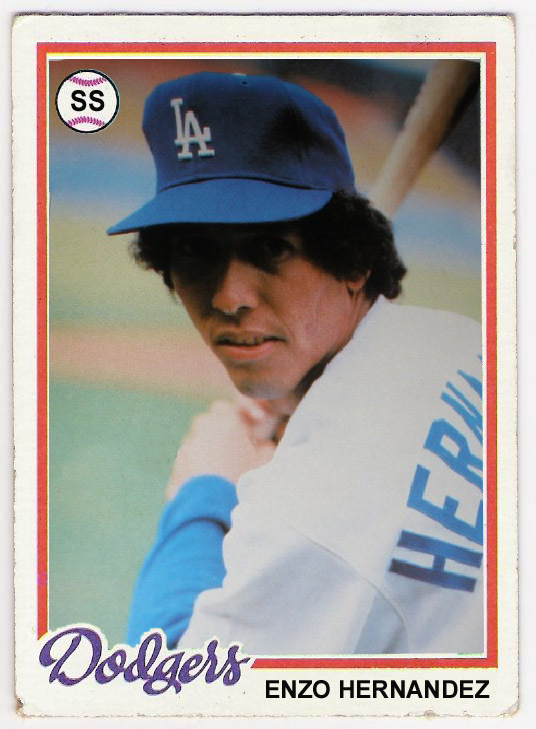 this guy was hurt by the smaller sets, as he would definitely have had multiple cards with the dodgers if he had played back in the 70's or 80's. at any rate, 2006 was his third year with the club and he had a pretty solid season - 11 homers and a .296 average - coming mostly off the bench. he was with the dodgers for the entire 2007 season although he hit below .200. topps did make a 2008 card of the guy which, despite his signing with the mets that year, serves as his final tribute card. tomko was a free agent pickup prior to the 2006 season. he pitched mostly in relief but spent the first 3 months of the season as a starter. he was actually 5-1 with a 2.88 era after his first 8 starts, and then it all went downhill. he wound up going 8-7 on the season. he was back in 2007 and was 2-11 with an era of 5.80 when the dodgers released him. like clark, he went to san diego and played a little bit better. tsao was a free agent pickup from colorado. 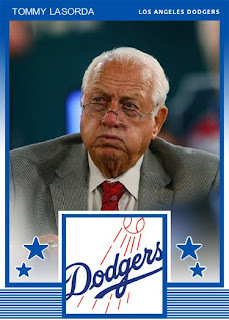 he spent 2007 with the dodgers losing his only decision in a horrific outing against the braves. he had been unscored upon after 9 appearances and then gave up 5 runs in 2/3 of an inning in atlanta, although he did strike out chipper. tsao signed with the mets after the 2007 season, but did not appear in a game for them. 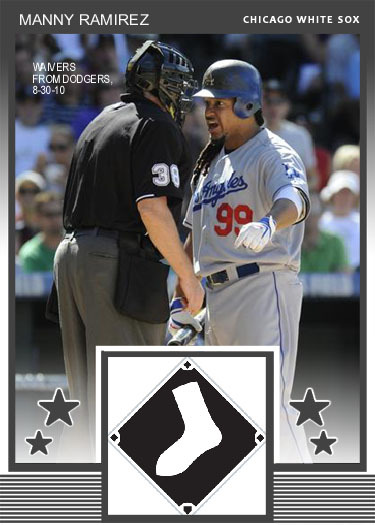 thanks topps for making these cards, although it would have been nice if i hadn't had to buy a factory set to get them.